In The Box/Setup: Opening the large box reveals a radio which is a bit smaller than I had expected…in typical Sangean style it is very well packed There is an FM whip antenna plugged into the 75 Ohm F Connector on the back panel, an AC/DC Adapter, Remote Control and an Owner’s Manual. You will need to supply two AAA batteries for the remote. AM/FM/HD Reception: As I said I was impressed with how well the HDR-18 pulled in HD signals. For those who haven’t had access to an HD radio before here are some basic facts you should know. 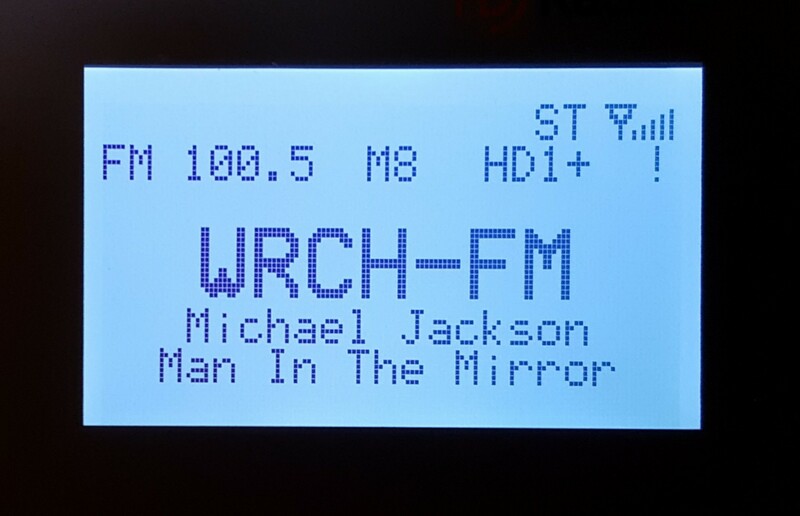 AM and FM IBOC stations (IBOC is Ibiquity’s In-Band On Channel HD system used here in the US) injects a digital sub-carrier on to the main analog signal. When the radio receives a strong enough signal it will switch after a few seconds to HD mode. On FM this will be the HD 1 signal which is the same program as the regular FM analog signal but in HD sound quality. (How much of an improvement you actually get is variable, depending heavily upon the local station’s concern for audio quality all along their audio chain). In addition the station can provide one, two or three additional completely different audio streams in somewhat lower audio quality, designated as HD 2, 3 and 4. 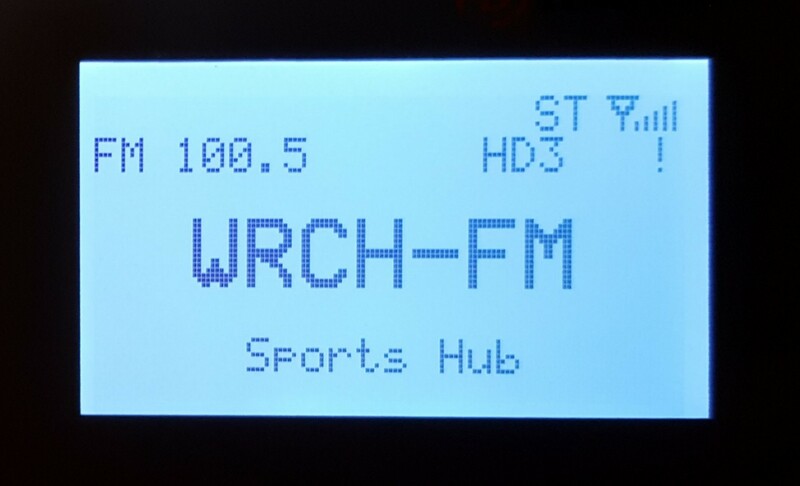 So when you tune to an FM station broadcasting in HD the letters HD in the display flash for a few seconds, then as the radio switches over to HD 1 the HD 1 display remains on steadily. 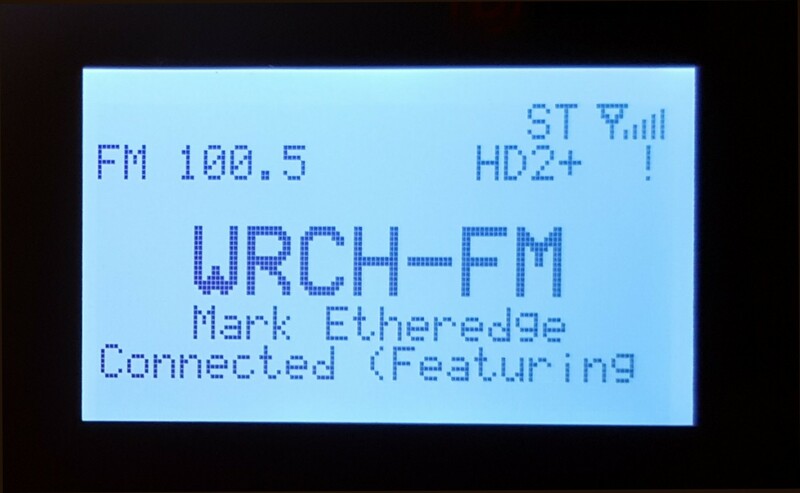 Now if you tune up one notch you will then receive the HD 2 program if the station is sending such a signal, and up one more notch you can hear the HD 3 program stream. These so-called “hidden programs” allow stations to generate additional program (and of course revenue) streams with more variety for the listener…one of the primary benefits for the HD listener. 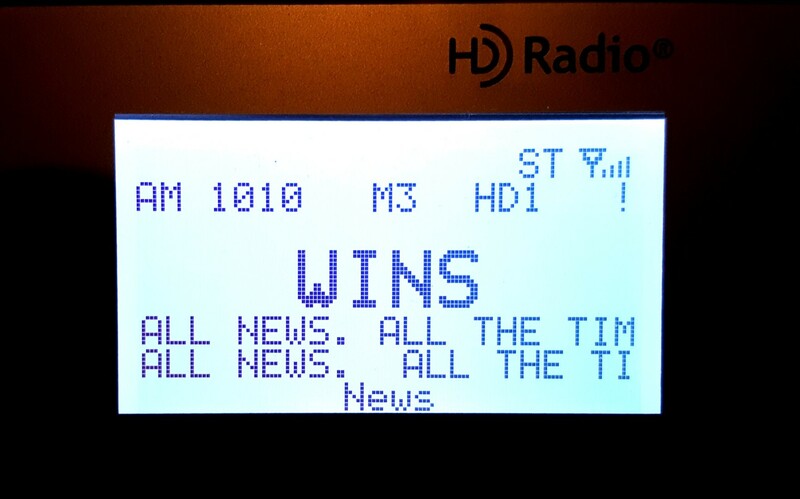 The only problem is that currently HD signals are only injected at 10% of the station’s power to prevent interference with the regular analog broadcast – therefore an FM station’s HD coverage area is smaller than its analog coverage area… you need a fairly strong signal to receive HD but the HDR-18 shows improvement in HD sensitivity over older HD radios I have tried. AM HD differs in two ways. First, there is no HD 2, 3 or 4 on AM – no alternate programs, just the main HD signal which lets AM stations sound like FM…this is a pleasant surprise the first time you hear your favorite AM station in FM-like sound quality. Since I happen to work for a group of AM and FM HD stations it is great to hear our AM station sound like it sounds in the studio rather than through the filter of a typical AM radio…I really enjoy that. Unfortunately AM HD is even harder to receive than FM requiring a fairly strong signal, but again, the HDR-18 beat the older HD radios I have tried for AM HD sensitivity. I also tested standard AM and FM reception and am happy to report that the HDR-18 is an excellent AM/FM radio, fully realizing the potential of what DSP can offer without digital artifacts which marred so many earlier (and some current) DSP radios’ AM reception. FM Reception was as good as I have come to expect from the best of today’s DSP radios. I did a complete band scan pitting the HDR-18 against my reference DSP FM portable (the C.Crane CC 2E) and they were so close it was hard to call a winner. As is usually the case with closely performing radios I found each radio beat the other during side-by-side comparisons on some signals and each lost on others. The Sangean was easily able to separate adjacent channel signals with ease and it was sensitive enough that I was pulling in distant FM’s (using the supplied whip antenna) with excellent quality from my hilltop location. As I’ve found with other recent DSP portables I was hearing signals from several states, sometimes more than one station on a given frequency which I could select by careful aiming of the antenna, and I have to say that if a signal is receivable in a given location the Sangean will let you hear it. I also tried it with an external wire dipole antenna (the excellent C.Crane FM Reflect Antenna) and with an attic-mounted FM antenna and the results were even better. 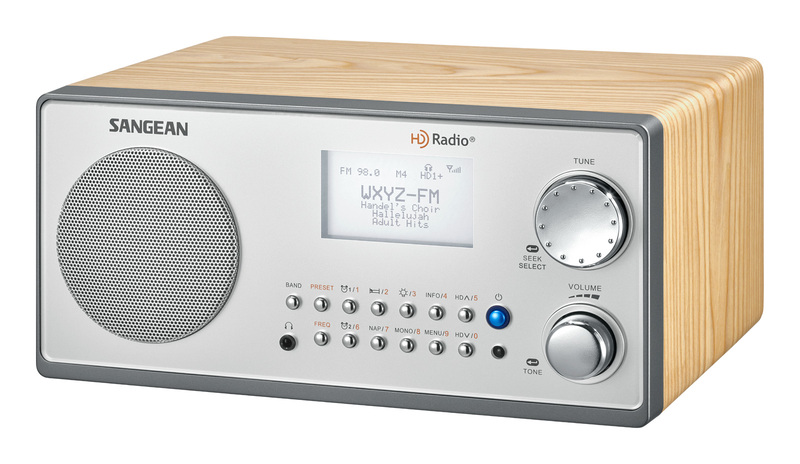 The HDR-18 is an excellent FM receiver…both analog and in HD. A Noise-Free Switching Power Suppy! Generally speaking such switching power supplies are indeed so noisy they can’t be used at all during AM reception…power supplies for many rechargeable radios are used for charging only…they must be unplugged when you want to listen to AM because the noise can totally wipe out AM reception. Fortunately the adapter supplied by Sangean is NOT noisy like that! In fact it was somewhat of a revelation. It is obviously well made and the noise is well-suppressed internally. It also has a large noise suppressor in its output cord and indeed if you keep the radio at least a foot or so away from the wall wart itself it seems to introduce absolutely no noise into the radio. This is the first switching type power supply I’ve ever heard that was this noise free on AM. I first verified that the AM reception was quiet, then double checked my findings by powering the radio from an old-style transformer design power supply. 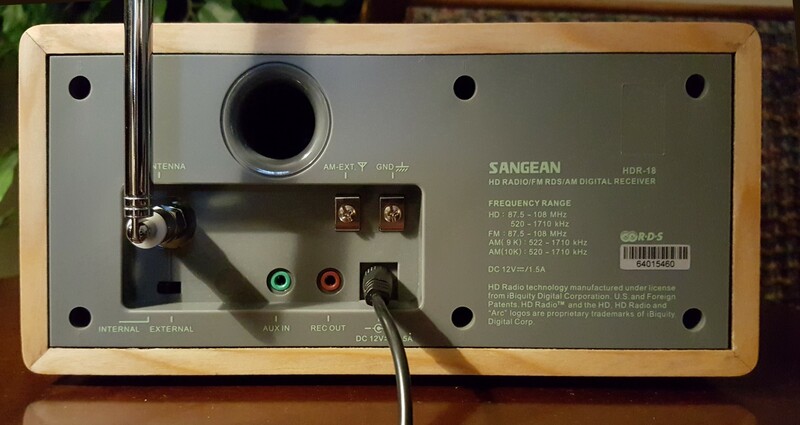 I could detect no increase in noise when I used the Sangean AC adapter as long as the radio was about a foot or two away from the wall wart. Congratulations to Sangean for advancing the state of the art with switching power supplies which are now mandated by US regulations. I only hope other manufacturers will follow suit. 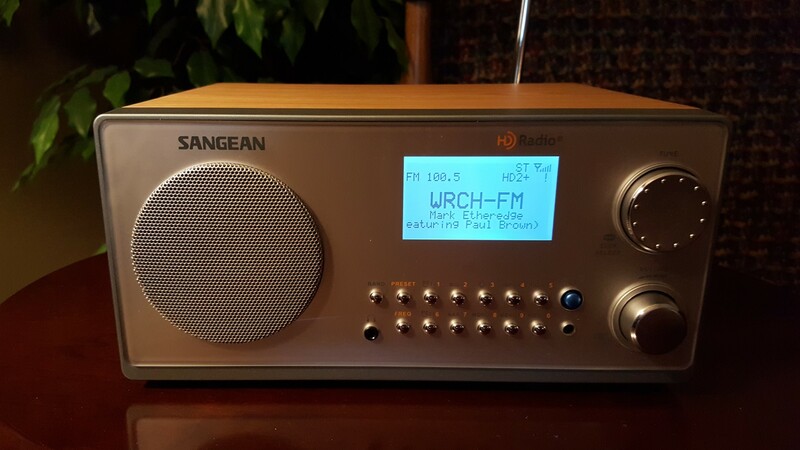 With noise concerns out of the way I did a band scan comparing the HDR-18 with my reference AM portable radios and found the Sangean was excellent overall…it ranks at **** (Four Stars) in my AM Mega Shootout list. I did find that it has less AGC action so weaker signals were a bit quieter requiring that I turn up the volume to compensate but when I did that I found the actual reception was so close to the references that it will require more time to see exactly where the Sangean ranks. But it certainly ranks among the best AM reception of any modern table radio I have tested and this superb reception carries through to its excellent AM HD sensitivity…in that regard it is the best I have seen. 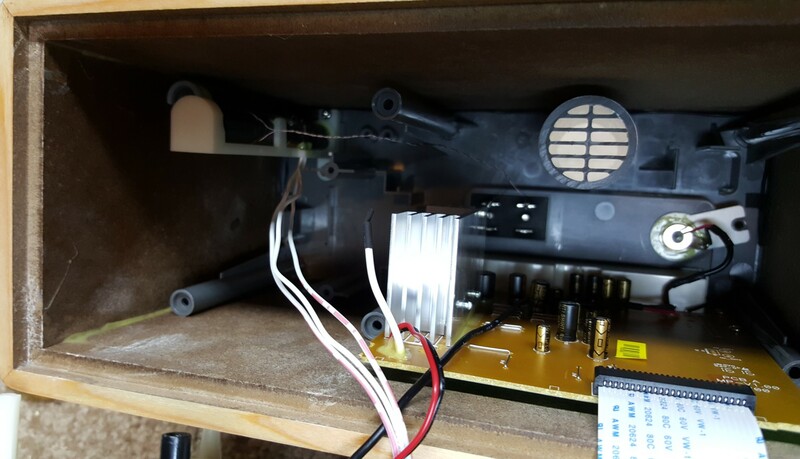 Also note that the AM ferrite rod antenna is oriented front to back along the left top edge of the cabinet rather than lengthwise so when aiming this radio for weaker AM signals you want the radio to sit with its sides facing the direction of the signal, not the front and back as is more common. Sound Quality: The HDR-18 uses a powerful audio amplifier (it is rated at 7 watts although that is almost certainly optimistic), and a good quality speaker in a rigid wooden, ducted cabinet. There is also well-executed tonal shaping in its circuitry to produce a sound that seems bigger than that which you would expect from its relatively small size. It produces sound which I’d describe as very good by table radio standards, and with its switchable loudness compensation, bass and treble controls it should satisfy most listeners and certainly sounds better than most portable radios I have heard. One Oddity: One thing I wasn’t able to figure out is the Internal/External Antenna switch. The first clue is that the supplied whip antenna uses the same F connector which would be used for an External Antenna. 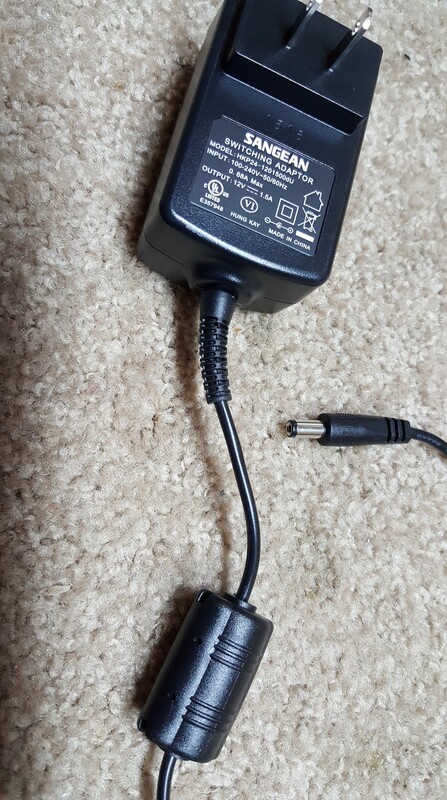 Since there is not a separate jack for an FM External antenna what would the switch do? Indeed while testing the radio with both the whip and with two different external FM antennas the switch seemed to have no real effect. I theorized that since DSP chips are usually matched to the whip antenna perhaps some parameter is changed for an external antenna but again, with any of the several FM antennas I tried I could not discern a meaningful difference. It is possible that in some cases the switch will have an effect and if I can get any further details about this I will pass it along. Also note that switch is for FM only and has no effect on AM. I found that the switch does not disconnect the internal ferrite rod antenna on AM and when I connected an external antenna to the AM screw terminals again the switch had no effect – those antenna terminals were active in either switch position. A look inside verified that Sangean is using a typical AM antenna connection scheme…those AM terminals are connected to a small loop of wire wrapped around the internal ferrite rod to couple external signals into the rod…this works well. One other note: The display has 7 brightness levels including Off which many users will like but the power button is very brightly lit and may bother you if the radio is to be kept in a totally darkened room such as a bedroom. Conclusion: The Sangean HDR-18 is in many ways a breakthrough product. HD radio has been slower to catch on than many in the broadcast industry had hoped and as such there have been limited numbers of HD radios available for home use…mostly the automotive industry has led the way. I have tried a few early designs and they were OK but nothing special in terms of reception or overall quality. With the HDR-18 Sangean seems to have combined the best of what DSP has to offer in terms of both basic AM and FM reception and HD sensitivity, and the build quality also appears to be excellent. The inclusion of so many features and a remote control make the radio a joy to use and the fact that they were able to seemingly overcome the obstacle imposed by the mandated switching power supply to design one which sets new levels of noise-free performance is impressive. I recommend the HDR-18 to anyone without reservation.